While living in a refugee camp, Masudi was the go-to carpenter for tables and chairs. Had you told him he’d soon be using those skills to craft world-class harps, he would have laughed! But it’s true. Masudi’s unique gifts and the support of people like you has led him and his family on an incredible journey. Masudi and his wife Sifuni fled violence in the Democratic Republic of Congo. They spent 18 years in a refugee camp. Their two daughters were born there. Many refugee children grow up knowing a camp as their only home. But Masudi and his family had different things in store. After a strenuous application process for resettlement and a long wait for approval, they found themselves with a new place to call home - the United States. RefugeeOne was there to greet them when they landed at O’Hare. We had an apartment waiting for them, English classes, after-school programs for the girls, and much more. Perhaps best of all? A RefugeeOne volunteer named Sharon, who quickly became friends with the whole household. 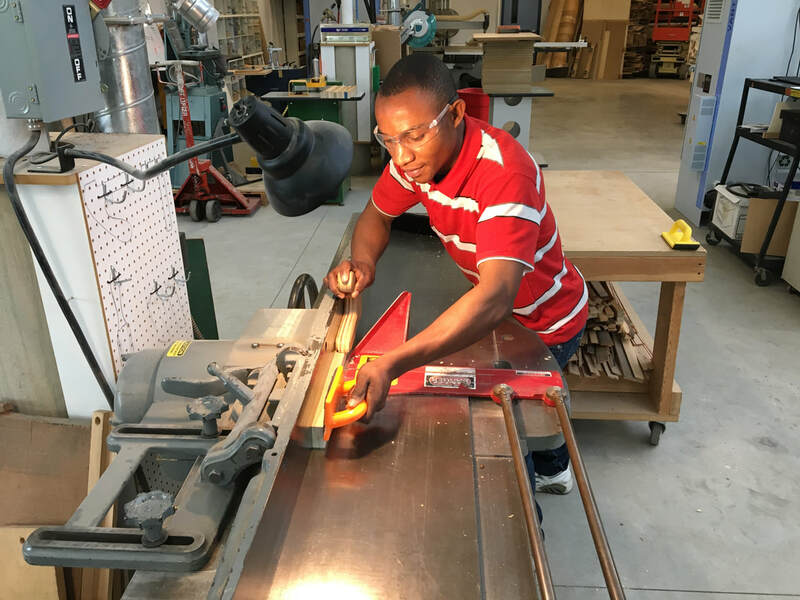 While he was grateful for the entry-level job RefugeeOne had helped him secure, Masudi dreamt of getting a job in woodworking. When Sharon spotted a flyer for a vocational woodworking program, she brought a copy to Masudi and offered to help with his application. He lit up. Masudi’s application was unique. He certainly had qualities that set him up for success, but the program was rigorous and his English skills were still developing. He went through two rounds of nerve-wracking tests and interviews. In the end, his determination got him accepted for training. Imagine traveling from Chicago’s Northside to the Westside every morning for class from 8:00 to 2:30, then straight to a night shift in the suburbs. Masudi would return home after 2:00 a.m. and wake up early to do it all again the next day. 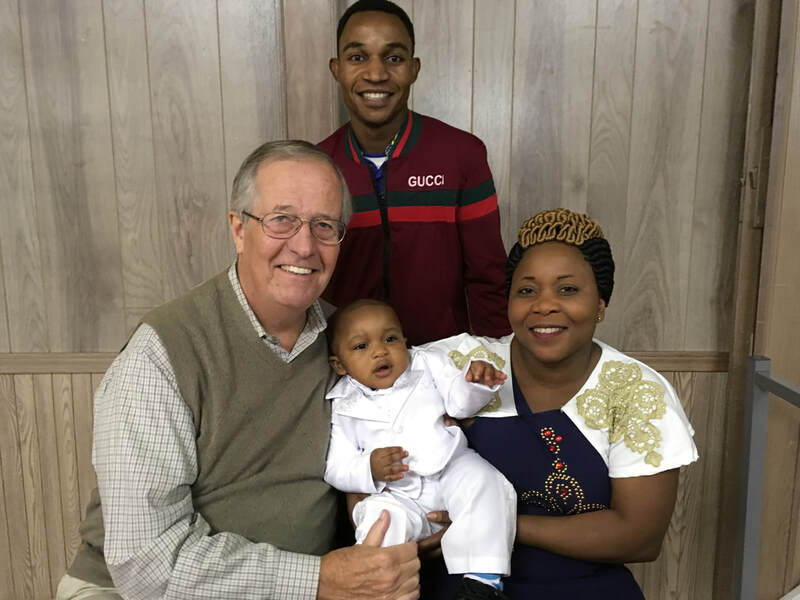 In the midst of this, Masudi and Sifuni welcomed a newborn son. His name? Frank—after Sharon’s husband. It was their way to show thanks for all the ways the couple had helped the family adjust to their new home. At the end of those strenuous 15 weeks, you can understand how proud Masudi’s family and friends were to attend his graduation. Now he could put his carpentry skills to work. 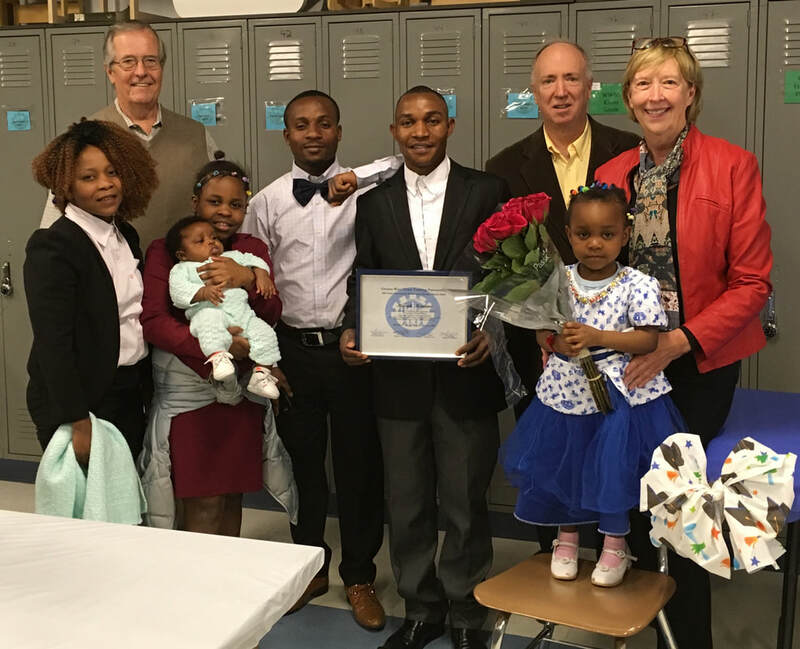 RefugeeOne helped Masudi look into his options and submit applications. He got an interview at the prestigious Lyon & Healy, a harp manufacturer known for remarkable quality and design. Masudi proved himself to be the perfect fit and was hired. Now he works on a team of just six people with the expertise to carve incredibly intricate instruments. “It’s a good job,” Masudi says. He could have never imagined that honing his furniture skills in a refugee camp would lead him to building harps in Chicago. Sharon still shows up to the family’s house each week. “There would have to be an earthquake for me not to be at their house on a Thursday,” she laughs. She’s there to celebrate each family member’s growth - the girls’ success in school, their brother’s first steps, Sifuni’s recent graduation from RefugeeOne’s Sewing Studio, and her dreams of running her own sewing business one day. Caring people like you make a world of difference for refugees. Donate today to help refugees like Masudi bring their gifts to life and thrive in their new home.